Whether this is your first time to Natchez, Mississippi or you are a regular visitor, Sunset View Cottages offers an unmatched Southern experience that is hard to replicate. We are peacefully nestled on a bluff with stunning views of the “Mighty Mississippi” and will provide an experience that is as private or inclusive as you request. All of our properties offer fully stocked kitchens and refrigerators, top of the line bed cloths and bath linens, wireless Internet service, plasma televisions, DVD and video players. Each cottage also offers access to a BBQ grill and fire pit overlooking the Mississippi River and private parking is available on the premises. The Peabody Cottage offers an exclusive experience you will remember. You can spend your day inside – exploring the beautiful art pieces within the cottage or soaking in the lovely claw foot tub. Or venture outside – to either the front porch overlooking historic Natchez City Cemetery or to the spacious brick patio to relax and enjoy the comfort of the Natchez air. 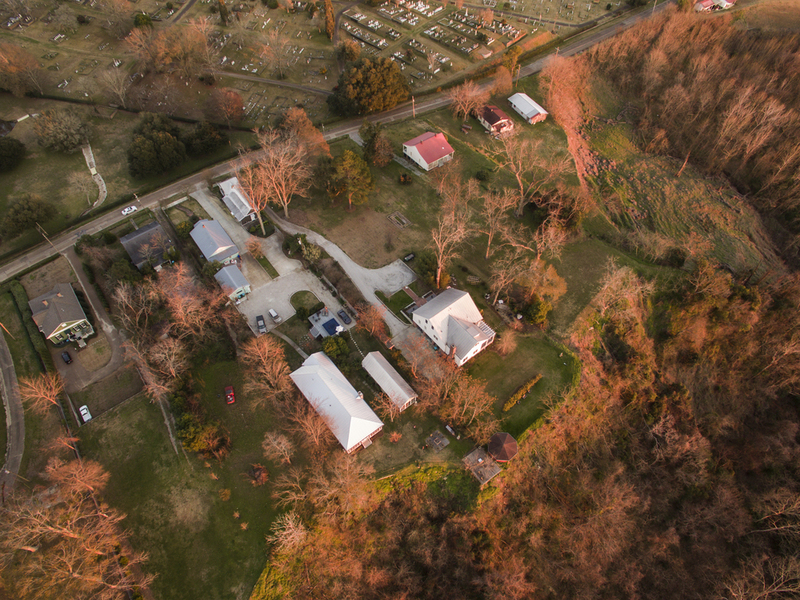 When you step out the front door of the Gatekeeper’s Cottage, you will overlook Natchez City Cemetery with its ornate memorials and detailing dating back to the Civil War. 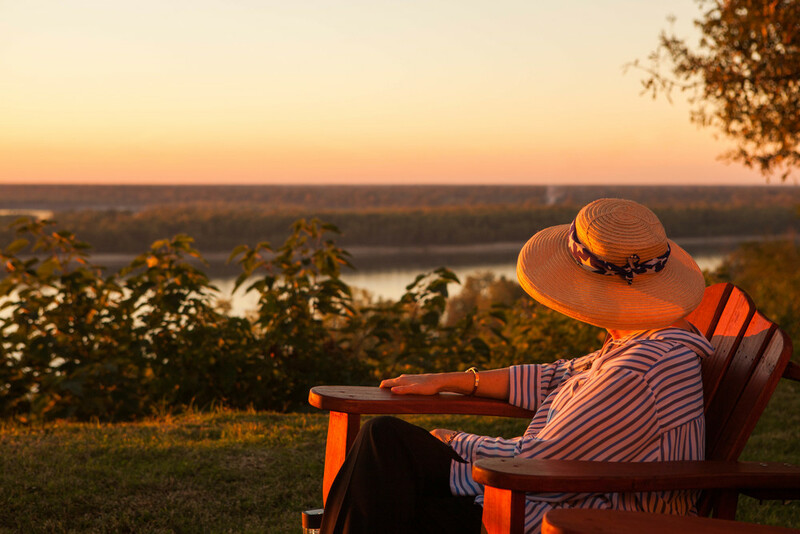 Whether you are on the front porch enjoying tea, or have ventured out back to the bluff that overlooks the Mississippi River, your experience at Sunset View will be one to remember. 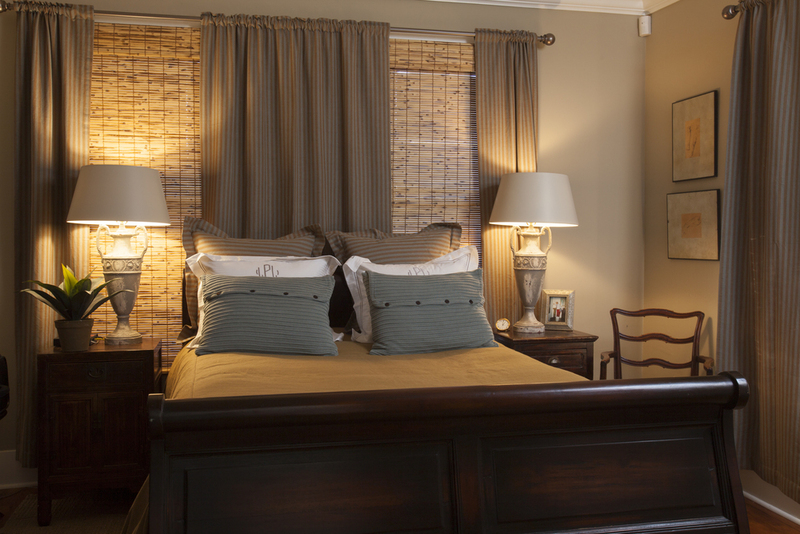 Jenny’s Cottage offers our guests a sense of tranquility that is hard to duplicate. 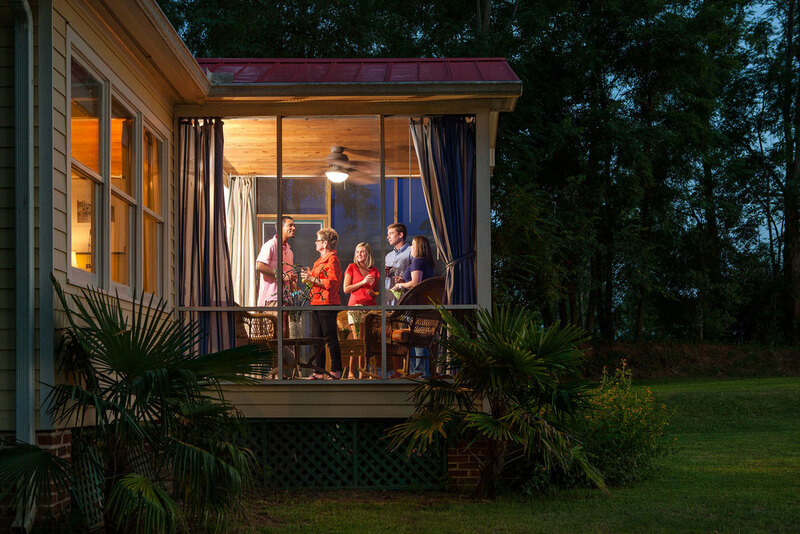 After exploring beautiful historic Natchez, enjoy a glass of wine and relax in the screen porch. 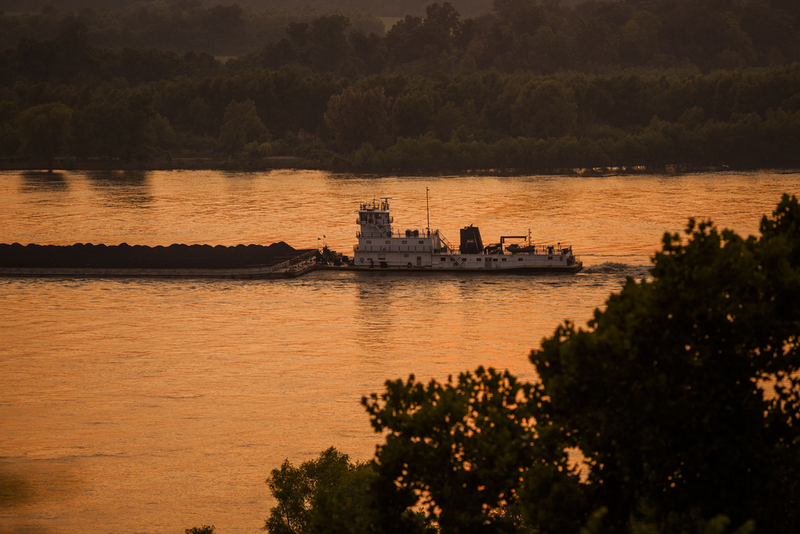 Close your eyes for a moment, but make sure you do not miss the spectacular sunset over the Mississippi River. When you are ready, head down to the fire pit to cook a meal under the stars. Offering stunning views of the Mississippi River, a stay at Frank’s Place is an experience unlike any other. Upon arrival you will step up to the magnificent front porch with plenty of rocking chairs. Off-street parking provides a back entrance, as well as a walkway to overlook the Mississippi River! Go ahead, leave your bags for a moment and explore the luxuries that this property has to offer.